You are currently browsing the Suburban Homesteading – Frugal Living blog archives for September, 2016. Do you have a favorite fall vegetable? I do. I have always been crazy for sweet potatoes. 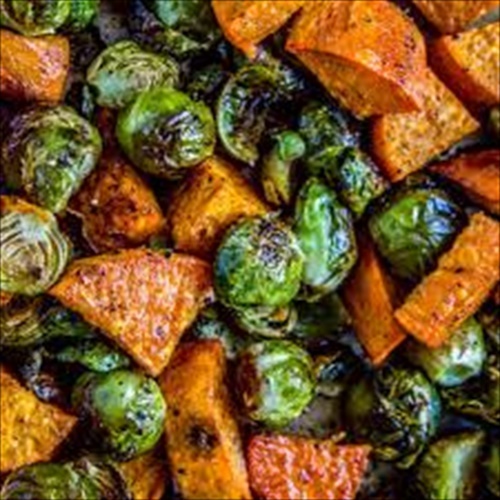 They are my “go-to” fall vegetable, whether they are baked and smothered with butter then sprinkled with salt and pepper, smashed with sweet maple syrup and nutmeg, or roasted with fragrant herbs. I love trying new fall veggies to add to my kitchen arsenal. But, I have to admit I’ve never been a fan of Brussels sprouts. Those little globe-like cabbage looking things never really appealed to me, probably because my family never ate them…ever. Really—I can’t remember one time growing up that my mom cooked Brussels sprouts. So, when I found a recipe on the internet for roasted Brussels sprouts I was less than tempted. Even though the picture was beautiful and they looked appealing I refused to be tricked into trying them. It wasn’t until I had them at a restaurant that I became a convert. They were tender, flavorful and downright yummy. I was sold, and they now make regular appearances on our fall dinner table. I have never had them any other way but roasted, and I have several different ways to flavor them during the roasting process. Why mess with a good thing, right? It was a few weeks ago and sis and I were making dinner. I had bought some Brussels sprouts from the market, but they weren’t enough for two people. When I looked around my kitchen I spied a few small sweet potatoes. Not enough for two people either. At that moment a stroke of brilliance came over me. Why not fix both? Together. I combed through recipes and combined pieces of a few different one’s and voila! A masterpiece was born. I cleaned and halved the Brussels sprouts and peeled and cut the sweet potatoes into chunks. Then I drizzled everything with almond oil, sprinkled it with ground cumin, salt and pepper, and tossed the whole thing together. Best idea ever! I loved the nutty flavor from the almond oil and the cumin brought out a wonderful earthy dimension to the whole dish. After they were roasted, I splashed a bit of balsamic vinegar over, added a bit of thyme springs for good measure and sprinkled on some chopped pecans. The whole thing turned out divine. What started out as not enough veggies for our two-person dinner, turned into a flavorful fall mixture and ended in discovering a new favorite side dish. Don’t ya just love experimental cooking? NOTE: This would make a great holiday side dish. But, if you’re worried about commandeering your oven for 45 minutes make them a day or two ahead and store in a lidded container, then pop them in a 400 degree oven for 5 to 10 minutes, just until they sizzle and are hot. They turn out great! Rinse, remove outer leaves, trim stems and cut Brussels sprouts in half. Small one’s can be kept whole. Place in a large bowl. Peel and cube sweet potatoes. Add to bowl. Peel and mince garlic cloves. Add to bowl. Pour almond oil over vegetables and toss to coat. Add cumin, garlic salt, sea salt and pepper. Toss to mix. Drizzle cookie sheet or large casserole dish with oil and spread to coat. Pour vegetables into pan and arrange so they are in a single layer. Roast for 30-35 minutes. Veggies are done when they are browned and fork tender. Spoon into a serving dish and sprinkle with balsamic vinegar (about 1-2 tbsp.) Garnish with thyme and chopped pecans. Looking to make your garden grow even better than it does now? Well—if you have chickens, rabbits, sheep, goats, cows or horses you have all you need to make your own power packed liquid fertilizer. Yep, that’s right. Manure can be made into a liquid fertilizer, often referred to as “manure tea”. Mulching your garden with leaves, grass clippings, used livestock bedding or any other organic material is a great way to add nutrients back into the soil, making it friable and easy to work. But, adding a dose of manure tea will punch up the nutrients ten-fold. We have a routine around our homestead…late fall is the time when the livestock trailer is cleaned out and old shavings and straw is used to fill the nesting boxes in the chicken coop. It’s wintered over in the coop and the hens add another layer of manure to the mix. Come spring we have a good amount of compost to add to the garden beds, enriching the soil and increasing the good bacteria and microorganism population. Gotta keep up the good stuff in our soil, right? But now we have one added step. We add a generous dose of manure tea to the beds before mixing in all that great compost. Unlike compost tea, which increases the good microbes in the soil, manure tea pulls the nutrients out of the manure, dissolving them into a liquid tea. Making manure tea is also a simple and fast process, so it won’t take long before your garden can benefit from all those added nutrients. Although chicken manure has the highest level of nitrogen and one of the highest levels of Phosphorous and Potassium, any manure can be used to make manure tea. Since we have chickens, rabbits, ducks and sheep that’s what we’ve used over the years. So—how simple is making manure tea? Grab yourself a 5-gallon bucket (preferably one without a crack, (sometimes hard to find around here). Dump in a heaping shovel full of aged manure. (Use aged, as fresh can burn your plants and roots). Fill the bucket with water and vigorously stir to churn everything up. Let the bucket sit for about a week so the “tea” can brew. Stir every day to aerate the mixture so bad bacteria doesn’t grow. 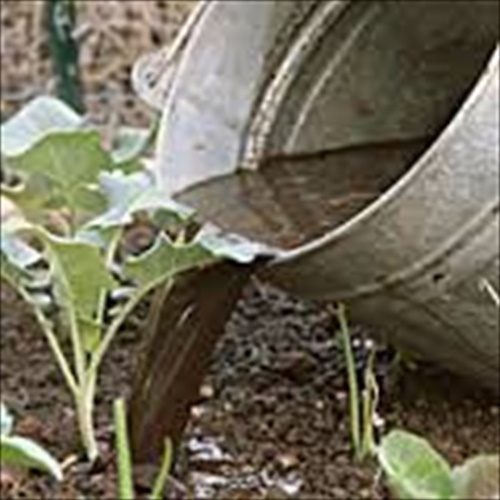 Finished manure tea can be used straight from the bucket using a ladle or watering can. If your tea turns out really dark it should be diluted at a 1:1 ratio. Simply pour half the tea into a new bucket and fill with water, then strain out the solids from the original bucket and fill with water. Now you have two buckets of tea. 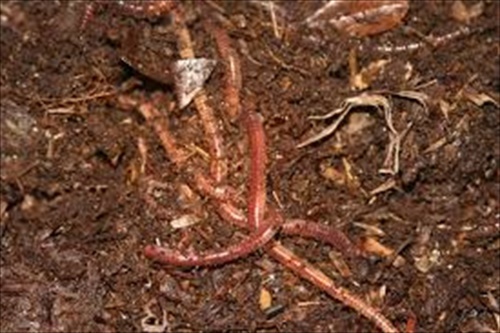 Add the solids to your compost pile or till them into garden beds. Manure tea is best used around the base of young seedlings or plants, giving them a boost of nitrogen to help them grow. Applications can be made once a week using a watering can or pump sprayer. Be cautious, though. Manure has pathogens that can cause illness, so manure tea should not be used on root crops like beets, carrots, onions or potatoes. Also, it should not be applied to the leaves of edible plants like lettuce, kale, spinach or other greens where the leaves can be eaten. NOTE: I make a big batch of manure tea using an old 35-gallon water tub. Because of the container size I fill it with about 8 to 10-inches of manure, then fill with water. I let it steep and pull out the finished tea using a bucket or watering can. It is used straight on the garden beds as I am preparing them for planting in early spring. I wait about a week or so before planting. After planting I can reapply using a watering can or ladle. The dog days of summer are not quite over yet, but the soft, sweet, wafting early morning breeze tells me that fall is fighting its way through our hot September days. Its days like this that I really enjoy seeing my laundry hanging on the clothes line. Vivid colors and bright whites flapping in the breeze is a quintessential farm look and looks so homey. But does that mean I have to give up my clothes line once the cooler days of fall arrive? The benefits of a clothes line can be enjoyed year-round. So, if you’ve been on the fence about setting up your own eco-friendly clothes dryer now is the perfect time. Need a little incentive? 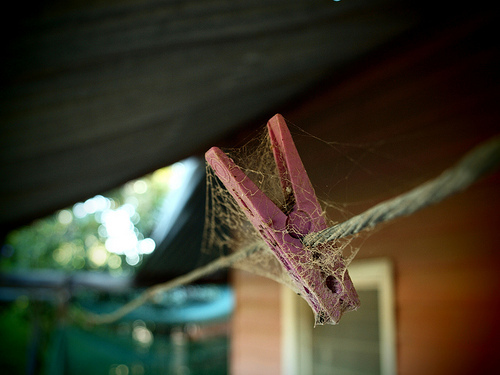 Here are my 10 reasons to use a clothesline all year long. 1. A clothesline uses no electricity. Kind of a no-brainer, right? What may not be so evident is the $300 dollars-a-year I save not using my dryer. 2. Clotheslines are more efficient because I can run my clothes through the washer and not have to wait for the dryer to finish. In just a few hours all my laundry is hanging on the line, letting the sun do its part while I do other chores. 3. Clothes last longer. The heat and agitation of a dryer can speed up the breakdown of fibers, while a clothesline helps preserve your clothes, especially those made from delicate fabrics. 4. Hanging clothes on a line is therapeutic. Honestly, it is. The few minutes I spend hanging clothes allows my mind drift away from our hectic world and into one that is calmer and more serene, one where hanging clothes on the line is your only important task. 5. Line dried clothes smell like a fresh outdoor breeze. No need for chemical laden dryer sheets that can cause irritation or allergies. 6. It makes my heart smile to see a line full of clothes. It’s a visual accomplishment. 7. Clothes dry faster outdoors than in a dryer. This is especially true in my area where the wind blows well into October and clouds rarely gather. 8. Folding clothes is faster when they’re not waded up from being in the dryer. I have a trick here, too. I put certain clothes on a hanger before hanging them on the line. When they’re dry, all I have to do is gather up the hangers and put them in the closest. 9. Fresh air and exercise. Moving, stretching, breathing deeply are all health benefits from hanging clothes on a line. What’s that you say? Winter is on its way. 10. Get yourself a portable drying rack or set up a clothes line indoors. Damp clothes help humidify dry winter air while giving you many of the benefits of outdoor drying.